We’re in the home stretch of Lent. Easter is less than two weeks away. And if you’re anything like me, then maybe you’ve slipped up a time or two – or twenty – on what you’ve “given up” for Lent. So these last two weeks are the final push – the home stretch where you give it all you’ve got. Every year during Lent, I try to watch The Passion of the Christ. And if you haven’t seen it, I highly suggest watching. Yes, it is difficult to watch at times. Yes, it is emotionally exhausting. Yes, it is long, and you will need to wear waterproof mascara, but trust me when I say, it will make you see your personal relationship with Jesus in an entirely new light. And make your faith come alive in such a personal, moving way. And sidenote: Jim Caviezel did an amazing job portraying Jesus. And if you’ve never heard his personal testimony about his faith and what he went through to execute that role, I would highly suggest listening to his testimony on YouTube. But one of the things that I take away from the movie, after witnessing the excruciating suffering He endured – the torture, the mockery and humiliation, the physical abuse – was how extreme His love is for me. Jesus took all of that, and atop Calvary, publicly stood up for me. It was a public declaration of love. Defending my salvation – taking the nails literally, so I could be free and get to Heaven. It is almost too much to comprehend. One of the things about this time we’re living in, is how private people are about their faith. We have put any inkling of faith left into a little bubble that no one sees, no one talks about, and no one demonstrates, other than a banal tweet that lost its sincerity years ago. We are a people of privacy. And I’m guilty of this too. I saw a friend at the grocery story the other day, and I told him I had just come from church, and I felt as though I had just admitted to still listening to Nickelback or something. We’re afraid to share what should be the most important part of our lives. One of the comments I get a lot is how people are so surprised that I can share my faith so openly on my blog. And honestly, I feel pretty convicted or even – phony – hearing that. Because there’s so much more I could be doing. And frankly, it’s a lot easier for me to write about on the Internet than in real life, but I am really trying to work on that. But why do I write about my faith? It all goes back to The Passion. Jesus defended me.Now, it is my turn to defend Jesus. If Jesus would have practiced our pathetic “2018 Christianity” and kept His faith private for fear of coming off as “religious“…then the crucifixion would have never happened. He would have never ruffled any feathers or caused a stir…Salvation as we know it would not be a thing. Because what He did was a public declaration of FAITH. Of TRUTH. Of love. Jesus was not ashamed or embarrassed to show His love and defend me and my shortcoming and sins through a public display of action that literally landed Him on top of a hill for the entire world to see. The least I can do is to share that with others. The least I can do is live a life in gratitude for that gift, and try to live a life that points to Him. Watching The Passion this year with that new perspective, I felt completely convicted. Because it all boils down to one question: Do I believe this? And if that answer is yes, then what am I going to do about it. I could be doing so much more. There’s such a need for His love out there in the world. And not just the world – but in our own backyards. In our communities, friend groups, families – in our own hearts! Lent is our time to reflect on His public declaration. And question how we are living in response to that sacrifice. So in these last two weeks, I’m really going to try to remember as I go through my day, the fact that Jesus stood up for me. He stood up for me all the way to the Cross. The least I can do is stand up for Him. Previous Post FabFitFun Unboxing VIDEO! Next Post Grain Free Caramelized Onion & Gruyere Sandwich! I’ve never been able to watch this movie, it will be too painful. Jesus is Lord. Powerful words – Amen sister! Beautiful and bold. I am convicted of my own reticence. Thank you for making me think beyond the easy way. So so good! You echoed my feelings and inspired me to be bold about ny faith too. I have studied the life of Jean de Arc and admire her deeply. The movie has a music score but is otherwise silent. The lady who played Joan in the movie actually suffered during the filming, no easy time for her. The one comparison I would make is that Jesus suffered extreme persecution and torture in part because of the hatred inflicted upon him by the Pharisees, the prominent Jewish religious sect of the day; on the other hand, Joan faced in her trial which was recorded in detail and is still intact in its written record, the extreme persecution against her of very own church hierarchy – the Roman Catholic church. Joan was brave because of her faith in Jesus was unshaken by wordly or religious hatred. You’re awesome! What a great post, and your Lenten traditions of watching The Passion and slipping up way too often on the things you give up for Lent sound identical to my own traditions…of watching The Passion and slipping up way too often on the things I give up for Lent. This is the time of year that I start trying to justify my slip ups with claims of celebrating a Saint’s day…a few days ago was St. Patrick’s Day (I had to celebrate that by letting up on the fasting! ), today is St. Joseph’s Day (can’t miss that day! ), and before we know it, we’re at Easter. You might want to adopt my strategy. 🙂 In all honesty though, I commend your faith! I once heard someone say that the world doesn’t neet another secret agent Christian. I appreciate how you’re “putting it out there”. I cover some faith topics on my own blog but not as consistently as you do. Probably time again. “We’ve become a society where people are no longer are “faithful,” but spiritual.” This entire paragraph is so true. “Jesus defended me. Now, it is my turn to defend Jesus.” Beautiful. And challenging. I would love your permission to use this in a homily (with attribution of course). Thank you for this inspiration. Thank you. I’ll post on my blog and include a link to your original (awesome) content. Thank you and keep up the good work. When we read the Bible we are tempted to look at the foolish acts of God’s people of the past and in doing that we feel superior to them. But we are not! The Bible describes what humans are like walking around in the environment satan has usurped. So while we look at the Romans and Jews of that time with disgust at what they did, in actual fact we need to ask ourselves a question. What would we have been doing at that time? Running with our tails between our legs like all disciples did except John? Shouting out crucify Him? Or like Simon of Cyrene expressing genuine sympathy for the man who was actually God in the flesh and carrying the cross for him. Sobering thought. I think the greatest sacrifice was not the cross, though that was massive. It was God taking on the form of a baby to experience what we have to experience so He could understand us and our experiences when it comes time for the judgment. Imagine that! God stepping down from the perfection and harmony of heaven to grow up in this ugly world. It was done to demonstrate what true love is all about. Satan’s demonstration is chaos and hatred. God is love..
Great post, and the movie was amazing. You are very graciously welcome. Hugs and love back. Maybe you will get your feet washed. that He had redeemed me because he wanted to have a relationship with me. So I talk to people, as the opportunity arises, in agreement with Him—an opportunity to bless them! Give what you’ve been given (have fun). The seed has likely already been planted by someone before you. Thanks for your post, it got me thinking. Truth. It’s hiding our faith that has allowed it to even become the taboo thing it is in society’s standards, not discussing it has allowed the non-faithful to steer the conversation. I find myself asking that question a lot, “what more can I do for His Church?”. I get told by our elders in our gathering that I already do a lot for His Church, but I honestly look at myself in the mirror and know that I can do more. I can start tithing like I should be doing, if not the 10% then at least $20 a week. I can invite people to come out on Sunday with us, we’ve had some people stop coming to our church and it’s up to us to assist in the effort to get more people in the door (we are His emissaries and such). I can do a better job at delivering the message when it’s my turn to speak on Sundays. I can devote more time to His mission as a whole. I am tempted at times to not openly discuss the faith, but by not discussing it I am failing the unbelievers that interact with me. I livestream our service on my FB page, I don’t shove it down their throats but it’s there if they want to watch or listen. On a side note, I know you posted recently about worrying about attacks on churches. You can do something about that. This Thursday will be our church’s “Safety Team” first training meeting, while the Safety Team will involve security and other concerns, this meeting will be training all the volunteers on how to respond to traumatic injuries and use the supplies in the Church med bag. i just wanna say, that i LOVED this blog post…. except this 1 thing: Lent. WHY do you observe a thing that is NOT in the Bible and something that was NEVER EVEN HINTED at by Jesus Christ himself? Tell me this ok: what exactly CAN or SHOULD you be doing, about that? the christian life does contain and is encouraging that of “good works”, but good works in and of themselves sometimes serve only to ease troubled CONSCIENCES. Have you ever thought that maybe God might not want, need, or require that you ever do anything AT ALL? Salvation is a FREE GIFT. There is NOTHING you can do to earn it or make up for it. ITS GRACE THROUGH FAITH and NOT of ourselves. Sometimes, people who busy themselves with “good works” are really in DANGER OF DECEIT. Whether by Satan or Self (almost the same thing, honestly). You’ve reminded me of conversations I’ve had with people who are very active in their churches. One is retired and works at the parish full time. Devout, teaching the youth. This person isn’t comfortable with sharing the faith outside of church. Everyone says that a person’s faith is a private thing that shouldn’t be interfered with. They only preach to the choir! I ask about Jesus’ command to go and teach all nations, and I get hostility. HOSTILITY! From fellow Christians! Part of it is what you wrote; we’re afraid of being shunned for sharing our faith. I also think that it’s the absence of community in society overall. You and I shared notes on how Halloween has changed since my childhood when it was a neighborhood event…still is in yours. Now we’re locked up in our phones, cut off from others. We used to go to friends’ houses to say hello without calling for permission. Now we text someone to ask if we can call them! We have walled ourselves off in so many ways! The reticence you mentioned to sharing your faith “live” is indeed partly the stigma of faith, but it’s also the unwritten rudeness of actually talking to people, actually connecting. But this is a gift you have. How many tales have you told us about people reacting openly to you? I think once people get over the shock of actual human contact, they might start to like it. Maybe not all the time, but enough. Maybe that’s the “in,” the entry to a conversation, to a life. A personal witness, seen in the eyes instead of a view screen. You may want to do more, but the stories you’ve shared here show how effective you have been when you make the effort! I’m not afraid to talk about God. I’ve never been afraid but still this really touched me. Let me come out of the comfortable shadows of the “bloggerverse” and offer affirmation and encouragement. I rarely, if ever, comment on others’ posts. However, over these past few months, I’ve been following and (usually) reading your posts. This particular blog post discusses an issue that I think is so prevalent in what you politely reference as “2018 Christianity.” The message is one that I think many discuss at one point or another, but unlike many such posts, I was compelled to read your entire post because of the “real” in it. When you write from the “real,” those posts are the most compelling and convicting. You have a gift for expressing your thoughts and feelings into written word. In my profession (i.e. academics), it’s a gift that I fear is becoming less realized by those who possess it. Keep writing. May the Lord continue to sanctify your heart, and exhibit Himself in your writing, your words, and your deeds. God bless! A powerful and beautiful post! Thank you for your courage. Awesome read, Caralyn!!! You would think that it would be easy to become desensitized to certain portions of the film, but each time I watch it, I find myself being humbled as I am reminded that this was all for me (if I may be a little selfish for a brief moment). And I want everyone to feel what I feel and understand it why it so important to my life. Thanks for sharing!!! Well said my friend. I am thrilled you are a fan of the “Passion of The Christ” Even as horrific as it was, the beating of Jesus, I have listened to some sermons on the radio and it sounds like his beating was even worse than the movie – to the point, one could not recognize it was Jesus any more. One of my favorite shows on Netflix is “Person of Interest”, you probably know who one of the stars is, Jim Caviezel . I only found out he was Jesus in the movie recently when I wanted to find other roles he had done. In a write up, Mel Gibson warned him that playing Jesus would affect his career and it did. I am very glad that you are taking a stand on your relationship with Christ, not being a closet one, like so many of us are, not just in our beliefs, but in our daily lives too. We are a “Christian” on Sunday and Wednesdays, but the rest of the week, it is all politically correct. I am exactly where you are on that path – taking a stand, being willing to step out of the crowd and say, hey, hey, I am a Christian and I am proving it not just with my words, but also with my actions. Paul and James have a slight disagreement about faith. Paul says actions cannot save you, but James states, your actions confirm your faith. Therefore, they both are saying the same thing, but the focus is on both ends of the spectrum. I think James, however; is saying faith is not faith until you do something, which require faith. I will admit, I do not do Lent. I never heard of it until – well since I was baptized in 2009, yep one of the older ones to do so. I looked for it in the Bible, did not find anything, so I did a search online and found it is a time made up by the Church, which is fine and I like the premise, but have not done it. Would love to have someone to do it with, I think that would be an awesome solidification within a relationship. How we make others strong is exactly doing what you are saying, be willing to stand up be a Christian with every word and breathe. Be willing to say Amen and God Bless. I don’t do this for effect, but I have my Bible with me at all times, at least in my computer bag which is in my car, and I often while waiting for anything, pull out my Bible and read it and study it. God Bless you for your stand, I am glad to know I have you, a sister in Christ to .stand with back-to-back against not only the forces of evil, but to proclaim our love and faith of Christ and to invite others to join us. God Bless, stay warm and safe, I heard it’s a white day of fluffiness there today. I so agree that Christians are less likely today to identify. I originally was just going to put stories on the blog when I was going to be the only author. I thought that maybe I would get no followers if it was a Christian blog. But, then, it didn’t matter, because God laid this on my hart as a way to tell my stories and encourage people to love the Lord, regardless of how many people follow. It became for Douglas and me a way to present our faith and explain why we are convinced of the reality of God th Father and God the Son, Jesus Christ, and believe that God the Holy Spirit lives in us. And we have been successful. What matters is if one person reads our posts and gets saved. Enjoy your posts. Thank you for this! Great challenge/encouragement. Have you ever watched Matthew by The Visual Bible? It’s longer than the Passion of the Christ but that’s because it’s verse by verse from the Good News According to Matthew. The person who plays Jesus is truly the best picture of Jesus I have ever found. It seems you can watch it on YouTube – https://youtu.be/fc8qOXeTsUQ. You’re welcome! Give it 20 minutes and I think you’ll be hooked. I’ve looked at some of the comments here and they are all well and fine but I have a bone about Easter as kid and never have gotten of over it. I was a lousy Easter egg hunter as a kid, never found more then few. Now! I know the important of Easter but it was them damn! eggs that frustrated me so. Too funny I’m 56 yr old and it still brothers me, I think I need counseling Damn! This was such a great post! I love it when people talk about their faith and are open about it. When you do, you discover that others do the same thing (which is awesome!). You also never know who you are inspiring by talking about your faith 🙂 All it takes is one person. I remember growing up and my mom telling me “You maybe the only Jesus some people see.” Thanks for talking about your faith. Keep up the great work! Reading your post was such an encouragement to me. I appreciate you sharing your faith. I believe you are a light of the love of Jesus and I appreciate that you are willing to share how Jesus helped you overcome eating disorder because that gives hope to many people who struggle with ED. I will pray for God to continue to empower you and bless you. As always, appreciate your sharing a piece of your heart and struggles. There’s always something in there that resonates or connects. Be encouraged, Caralyn. God’s grace is sufficient and His power is perfected in our weakness. As you continue to seek Him and walk with Him, being filled with His Spirit, authentically sharing your faith more will be a natural by-product of that process. 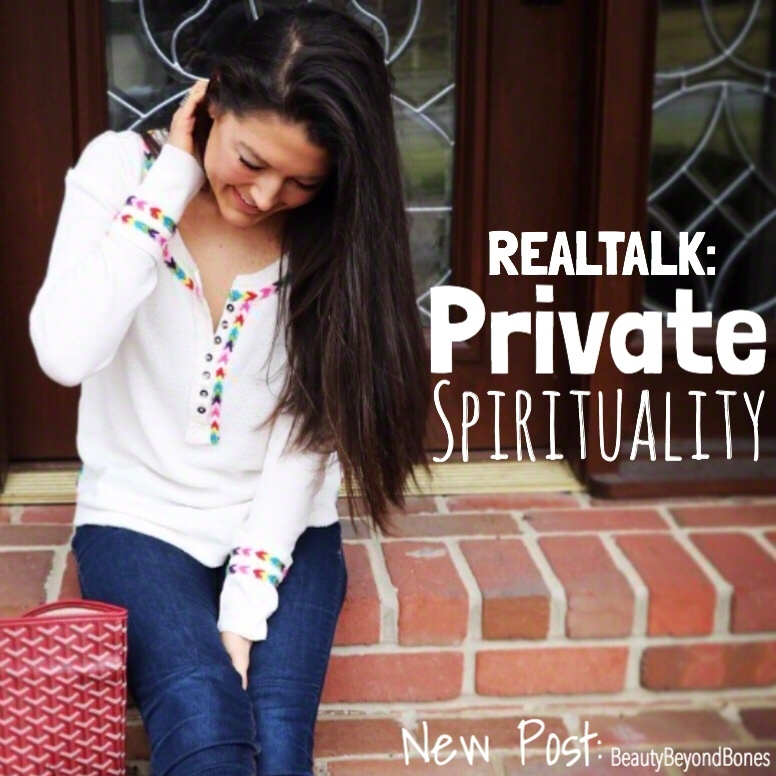 Funny your title is Real Talk: “Private Spirituality”. My post tonight is titled “The Struggle Is Real (And Often Unseen)”. I had just finished my already-titled blog post when I got the notification of your post. Ironic. Take a read when/if you have some time and let me know your thoughts, ya? Kindness…respect…listening…understanding…so important to me Caralyn…I have moments when I cannot, simply cannot, fathom what Christ has done for me, for us…and the journey of faith and life for me this year has been a challenge because what Christ did for me is both to make me, through His death, and praise God, His resurrection, right with Him! But it also is a reminder that my character and my habits are need to be changed, transformed…and that is the deeper and harder work of discipleship. Bless you dearly my friend! Do you think they really care? You don’t know enough theology. They will argue and win. They will embarrass you and tell others what you said. What makes you think yo are right, and they are wrong? Do you want all your co-workers to talk about you? And many other, even worse things fly through a person’s mind when the enemy attempts to disuade us from speaking about Jesus Christ. We need to remind ourselves, what Jesus Himself took on Himself for us, and that Holy Spirit Himself came to live within each of us who call upon Jesus as Saviour. Holy Spirit will give us words, and empower us, because He has come to direct others to Jesus Christ, and if He will work through us, we are blessed. God Bless you, Caralyn. We are blessed by God through you. I appreciate you sharing your faith in our Lord. It is a beautiful story. I can not fathom what a sad and terrible place this world would be if Christ never walked the earth. He bridges the miles and miles between God and the world. God’s blessings to you. I basically needed a maxi pad to collect the tears et al when I saw the Passion. BTW I loved your piece on the award show that featured Oprah and all the hypocrisy that was reported that evening. As you pointed out, “Jesus defended me, it is my turn to my turn to defend Jesus.” You do, in fact, defend Him in your daily walk. We are known by our fruits and you are inspiring people in ways that many people who claim to be Christians and even hold positions in the church do not do. You said, ” Because there’s so much more I could be doing. And frankly, it’s a lot easier for me to write about on the Internet than in real life, but I am really trying to work on that.” What makes you think that your gift or ministry isn’t exactly that? There are those who serve by teaching or preaching, others who are involved in street ministry, still others who feed the hungry. Your service to our Lord is of paramount importance to the furthering of His Kingdom as long as you are doing it for His glory. Yes. This. This is beautiful. And I watch that movie every year too, but I usually wait until Good Friday or the following Saturday morning. Hey, I have a personal question: not necessarily about the post topic, but about religion. I am a Protestant, but I’ve been following your blog for a while, and I barely notice that we really are from a different denomination. I will admit, my only experience with the Catholic Church is what you read out of a history book when Martin Luther first split from Catholicism. So forgive me if I sound ignorant. My question is why did you decide to be Catholic? What made you decide to be Catholic, not Protestant? I would love to understand. Thnx for this imspiration. Great. What a perfect post for today! I found myself nodding “yes” over and over. We ARE so blessed and I find myself overflowing with grattitude for His gift-especially this time of year. I applaud you for contintuing to speak of your faith through your blog-even as it grows. I strongly believe He is behind your growth. People are longing to hear this even if some are quietly taking it in. You are a great light! It’s easy to lose site of who we are and what we stand for the more “popular” we get. Your blog, book, game has just blown up! I’m so excited for you! Just keep it up and don’t let “the world” alter what you right about too much! I love to follow you. You’re so inspiring! The Christian faith is always personal, never private. Very well said, Caralyn! Be bold and wear your faith in love — the one commandment that Jesus gave us before being nailed to the cross for all of us. Your wisdom is beyond your age, this dad says. Your parents must be very proud of you! Have a wonderful day! Good for you!! And I agree about The Passion of the Christ. A powerful film that everyone should see. Had a great impact on me at a critical time in my life. Thank you Mel Gibson (and God for inspiring him)! Hey there! I’m glad you wrote this one (well I’m glad you write, period). Because the public vs private thing is a long term area of debate and frankly, spiritual malpractice on both sides of the coin. There are definitely things we are instructed – by Jesus – to do in private, and they bring reward (see Matthew 6). And we are to be witnesses to God’s grace as well (Acts 1:8) – where the word for “witness” is the martyr (though a martyr in this sense doesn’t necessarily die for his/her faith). We mess it up, as you pointed out. We make private with is supposed to be public. But frankly, we make public what should be private too. Too often, a witness is forced or robotic (hand raised here). Too often it’s a political or tribal account we give and not one aimed at sharing all that we have in Christ as a free gift. So, how do we do it? Please don’t dismiss him because he’s Protestant, but the recent passing of Billy Graham has brought a lot of vignettes and recorded accounts from his life to light. Below is an interview by Woody Allen. They (the audience and Woody Allen) try to make him seem judgmental, too restrictive, etc., but he stays right on. THAT is being a witness. He never stops loving, never stops doing reconciliation. May we all learn. So well said. I am embarrassed that, at my age, this is still difficult. You are right. It’s so hard to talk about our faith! I was recently talking to a friend about this. When people ask me what I write, it’s sometimes hard to say, “Christian romance.” It’s even harder to say the truth: “I write Catholic romantic fiction.” And why? I’m not ashamed by it. But am I? By saying it out loud, I feel so judged. I wish I had your confidence when it comes to publicly talking about my faith and how deeply it affects what I do. Great post, Caralyn. Thank you so much! I really needed to hear those words today. Great piece Caralyn. The privatization of faith is the first step towards persecution. It is important to remember that our faith is essential to who we are. Privatization of our beliefs removes the essentiality and corners what we belief and Who we worship to the darkened coroners of isolation. That is what the Enemy wants of us. Reading Screwtape Letters (C.S. Lewis) reminds me of how effective the demonic tool of privatization is – it depletes us of the essential quality of what makes us believers. I love your tie in to the Passion – also one of my annual Lenten traditions. It is a great movie that reminds us of the sacrifice that was endured by Jesus. I’m with you on feeling more at ease writing about Christ and my faith, than in a one-on-one conversation about it, but I am getting better. The first time you talk to someone about Christ, it can feel a little awkward, but the more and more you do it, the easier it gets. Yesterday I was sitting with a young woman at a baseball game here at Spring Training and somehow me telling her about Christ just came pouring out of my mouth. It was so refreshing that I could find myself doing this. One of our pastors at our church in Chattanooga, always asks someone to pray after the service, usually a male in the crowd. Two years ago around Christmas he asked me. Oh my goodness, pray in front of a couple of hundred people?! I kind of fumbled through it , but did okay. After that, I always expect to be chosen again…and yes, this past Christmas it happened again. The prayer came much easier to me this time. So, that pastor did me a favor. God used him to help break me out of my timidity to speak to others. We have a weekly Bible Study here at Spring Training and this year’s subject was on being disciples. I think this was an excellent subject because we travel so much and have lots of opportunities to share our faith with others. The first step is to ask someone how they are and try to learn more about them. We can usually tell if someone is going through something rough and just maybe they will spill their guts about it. Then ask if you can pray with them. If they say okay, the Holy Spirit will help you. iI they say no and think you’re odd, then move along. Maybe they will think about it and later on they will come to you, but don’t pressure them. We also need to live like we have Christ in our hearts and maybe a person will become curious about it and ask us. If you think about the Woman at the Well whom Jesus spoke to, think about how she changed, ran into town to tell others, and they actually followed her back to see Jesus. Why in the world would they follow such a despised woman? Because they saw a change in her, the change that Christ made in her. That’s how Christians need to live, changed. People notice and will ask. God opens a door for us to bring someone to Him, we need to recognize it and step through. It’s just that first step that can be so hard. Thanks again for a lovely post! <3<3<3 I love this. Thank you. And you hit the nail on the head. What is surprising about our private faith, is that practically nothing else in this world people leave private. Between social media and the clothes people wear, I know more than I ever wised to and definitely not what I want to. I have yet to watch that movie. I am kind of ashamed to admit I was scared to. I don't really know why. I have heard great things about it. I am going to watch it this week I think. Thank you for this powerful, compelling post. When The Passion came out in theaters, our church and youth leaders wanted to take a group of us to see it. I specifically remember the permission slips that all parents had to read and sign. I was 15 at the time, and I’m so glad that I had the opportunity to see it in theaters. It was life-changing. I don’t think I’ve ever cried that much in a movie. I physically felt my life view shift during the movie, and again immediately afterward. I could barely speak for the rest of the day. It was that powerful, that mind-blowing. Another movie my mom typically watches around Easter is The Ten Commandments – Another powerful movie. I think of Caviezel’s epic portrayal every year, and I’m grateful our church gave us that chance to see it together. kirstenstokes.com visit my site! Follow me and I’ll follow you! Great post and I love the movie the Passion of the Christ. Jim was an amazing actor and that movie gives me chills and tears each time. It’s like you can see Christ’s sacrifice for us on the cross. Okay, I’ll check it out. I love him. He is a great actor. You know, I think it all comes back on identity again; Jesus didn’t live his faith secretly because he was too much Love and Truth to; time and again he’s tired and hungry but there is a crowd and he knows and loves them. If we really knew and embraced our identities and understood the full implication of ‘Christ in you, the hope of glory’, we would be no more able to live secretly. But that’s a journey for everyone–it certainly is for me! And so many people have been taught God wrong; western religion has not done us any favors there – it’s no wonder faith is at a low when the God so many of us have been taught is not the real God. It’s no wonder America is so torn up by religious backlash from holier-than-thou types when their God is so untouchably distant, and angry at everyone who doesn’t do things just so–so angry that he had to take out his ‘holy anger’ on his own son and kill him so that he wouldn’t actualize his anger on us. That is not God. Heh, good one 🙄 My mom the other day said she wonders how it would have changed things to have grown up with a proper view of God, the incarnation, the Passion… I’m so excited to see what Father will do in the next generations with western Christianity on the decline and children growing up outside of the limitations and unrealities it fed us about who God is 😀 I know I can’t wait to tell my kids all about it! Great post. Have a BLESSED Easter. Your thoughts were nicely said, young lady. Keep trusting our Lord Jesus, and acting upon and living his love and Word. Your article deserves an Amen sister. I sometimes feel embarrased about sharing my faith because I used to one of those who hate religious people but now I am one of them. I commend your bravery in sharing. But what really got to me is how no matter what ive done Jesus forgives me, loves me and will never give up on me. Thank you for the post, friend and I will try to be more open about my faith as I continue this journey. Yaassss…great post!💜Keep sharing your gifts! Your post is great! Love it! YES! Great post! My husband and I watch The Passion every year on Good Friday. So powerful! That was a very well written and honest post. Thank you for that. Before I say anything else I want to be very clear that I’m not disagreeing with any of what you said or trying to be controversial. I’m a Christian and have always been very open about that. But these days there are so many people who claim to be Christian but live their lives in complete opposition to the meaning of that word. Christian means ‘Christ-like’ so being a Christian is to be as much like Christ as possible in our daily lives. Jesus taught forgiveness, lack of judgement, and loving people. He taught to give, to serve, and to put others ahead of ourselves. People seem to think that as long as you go to church when you’re supposed to and say you’re a Christian, the way you live your life doesn’t matter. I am a VERY long way from where I want to be as a Christian, but I try my best to be an example of the teachings and life of Jesus. I’m sad to say that when I say I’m a Christian these days,I follow it up with, ‘but not like those self righteous, judgemental ones. I thought about whether or not to say this. I don’t want to offend anyone and I don’t want to stir up controversy commenting on what was a beautiful and honest post. But in the end that’s what made me decide to write it. Your obviously heartfelt honesty inspired me to be honest as well. I actually haven’t. I really need to expand my repertoire. I really want to see The Bible miniseries!! I actually don’t know what Cable channel it aired on (which I don’t have very much cable at all) but I remember friends on FB going nuts over it the year it came out, the way people did when Passion came out. I mean they tell basically the story of Jesus as we pretty much know it, but some of the details are a little different, quirky things mainly. Now when I was a child up through just out of college, (70s through early 1990s) Easter weekend used to be lined up with the old classics, year in and year out. If it wasn’t “Greatest Story Ever Told” or “King of Kings’ then it was others like the famous Ben Hur with Charlton Heston, Quo Vadis (all about the rise of Christianity), Barrabas (all about the man Pilate freed and how it effected him after that), or The Robe (a novel turned movie all about how Jesus’ Robe, taken at his crucifixion, ended up in the hands of a roman soldier, who changed his ways as a result of possessing it. Another one that used to be thrown in was Spartacus, about the slave of Rome who turned hero in leading a whole band of them against roman forces in a quest for freedom. Now I heard that that “Risen” of a couple years back was good, but I never got to see it when it was out. how encouraging to think of all the great content out there that’s available! This year I decided to do a 40 day devotional on my phone for lent. I didn’t give anything up but I am more in tune this year to Easter and what these days leading up to Easter truly mean. I appreciate the reminder that especially this time of year we should be focused not on what we will wear or where we will eat but on Jesus’s sacrifice for us. That can get lost not only in society but in our hearts. Can’t say I’ve ever compared sharing our faith with sharing that you’ve been listening to Nickelback. That was funny! At the same time pretty sad. I just got done listening to this sermon, I hope it blesses you. I agree that we all need to be our authentic selves, be that Christians, Buddhists or whatever we believe. And embodying those beliefs, for me, is more important than talking about them. People don’t always respond to what you are saying, but certainly notice your actions. So if watching the Passion inspires you to be who you truly are, to be kind and compassionate towards others and honor them for who they are, then you have found your muse. We all have so much for which to be grateful, especially for the love which surrounds us all. Keep on keeping on and love unconditionally. You have a great blog! If I might add one more thing. Words are just semantics. They are our limited way of often trying to describe the indescribable. How can you describe the power of the unseen world, of God, with our human words? We cannot, though we try. Whether I say God or Universe, whether you say religious or spiritual, it doesn’t matter. What matters is what comes from our hearts. How often have you been so overwhelmed with emotion that words failed you? I don’t pay attention so much to words, for they often fall flat. If we all come from our hearts, rather than from our heads, that’s what will join us all together. Blessings to you! Beautifully written, thank you! I appreciate your boldness. To stand apart is difficult as it always has been, and to do with grace is equally so. Maintain the faith! Look forward to reading more. Amen! Not just during certain times either, all the time! Keep being you my friend. We need so much more of this not afraid to speak the Good News!! Hugs! Great post! I love reading your stuff. Keep going! One thing in your well-done post that stayed with me was your comment that the love of Christ was so needed in today’s world. That same realization drew me into blogging (mine isn’t near as nicely-done as yours :)) . We have to be the “voice crying out in the wilderness.” I’m grateful for your efforts, and wish you well. Great job… as usual. I will be praying for you. Always remember… everything we do is by His grace. He is always with you and will lead you to be what He is convicting you to be. Thanks for your continued willingness to just be His. M. A. Awesome! Using this platform to share the faith is such a beautiful witness already! Keep it up sister. I have to admit talking to a stranger is easier than explaining my Faith to my own flesh-and-blood family. It just is that way. Possibly, I am more afraid of rejection. And to my Christian “mates” I can be the same way. . . .don’t want to burst their bubble, seem judgmental, God will make the changes He wants (so why should I risk my neck). Learning how to relate and not cause another to want to retaliate. ? Also, many times we come to God in order to get something. God is willing to give us stuff — even giving us more that what we are conscience of. But the other side is that God is unfolding His plan on this planet; unfolding His “Story” and we are to become part of it. At the moment I would ask, “Is doing His “Story” more important than receiving back from God? Love the authenticity here. I appreciate how you acknowledge how much easier it is for you to talk openly about your faith on your blog than you do in person and in public. Weather it’s a blog or other social media platform, I think the same (to varying degrees) is true for most of us who claim to be followers of Jesus. In the past 5 months, however, I have witnessed the extreme difference in lasting fruit and relationship that comes from sharing our faith walk with others in person. Now I’m addicted, and my social media presence has decreased simply because God has asked me to pour into those in my community. Keep up the powerful work on your blog, and God Bless! Yes! Yes! We should never be ashamed or afraid to stand up for Jesus for remember if we are, He would also deny us (Matthew 10:33). The final stretch. And will watch…! I think recognizing that there is more we could do will help us to actually DO things, not just write about it. Remember, though, that writing about our faith and reaching so many people (like you do) is a ministry in and of itself. Keep writing and posting. Thanks for your perspective. I hope you have been able to start doing this and are seeing the beautiful graces that come from sharing your faith rather than hiding it. I realized a while ago that I was living the verse that said to “pray to your Father in secret. And your Father who sees in secret will repay you.” The problem was that my own children were not learning how to live a life of faith because mine was so private. My friends had no idea that I was someone who would pray for them any time they needed it. I didn’t need to be the preacher on the corner, I just needed to share my gratitude for God’s work in my life. I just needed to share my blessings, and offer prayers when necessary. I just needed to share my life, not just the life I thought people wanted to see. Then, I got more and more, “I need to tell you this, because you’ll understand….” God stories. Lots of them. I was blessed 100-fold. Go for it! You’ll be so glad you did. “The least I can do is live a life in gratitude for that gift, and try to live a life that points to Him.” Perfectly stated. Thanks for sharing! Love this post. We are advocates for Christ and need to speak of our faith. Especially to the youth and hope they grow deeper in their spiritual journey. Someone has to bring faith back into our homes and daily lives! Thank you and happy and blessed Easter! Wonderfully put, God wants his words out in the open not closed up in a box in which no one can see. I love this will be following. “We’ve become a society where people are no longer are “faithful,” but spiritual. God is now “The Universe.” Brunch has replaced church. And as a natural progression, any faith we do have left, has been hidden away into the privacy of our minds and homes, for fear of being seen as “weird,” “antiquated,” “close minded” or worse…”religious.” ” Thank you for saying this. This is a statement that I have brought up in my own family so many times over the years. I have urged them to mend their relationship with God and to fully understand that there is more for them if they would simply allow him to be their guide. They always tell me that established religions are too much of a commitment and only profit the preacher, but if they would just stop making excuses like the sadly growing population of what I call “Cultural Christians”, they would become so much more happy. Christianity is not a culture, it is a living religion that requires action to maintain faith. Wow thank you so much for being honest! I’m a Catholic young woman blogger and you are definitely an inspiration! Sometimes I’m not sure that my audience exists (yet) or that they will care about my perspective…but seeing your success and HONESTY is a breath of fresh air!! I’ll add you to my prayers 🙂 Thanks so much for being brave and showing your faith for the world to see! The world is a better place with steps like yours right here! We have moved from Northeast to Southeast US, an area with more practicing Christians. Here we not only go to church, but to Sunday School afterwards. Thank you for your beautiful blog. Truth!!! I plan to write on this too and I’m glad you talked about this especially around Easter. It’s something we really have to think about. I suggest for others who may not be able to fully watch the Passion, to check out Son of God, it’s just as good (in my personal opinion). It’s not rated R so it’s not as in depth with violence or death of Judas. But it definitely helps tell the story of Jesus, sharing some of the teachings He gave and then leading up to His death on the cross, including flogging. Oh, I think you will love it! It may still be on netflix 🙂 <3 It's by the creators of the Bible series. The wife actually plays Mary, and she did an interview about really trying to feel what Mary would have felt watching her Son. Thanks for liking my post about my salvation story! 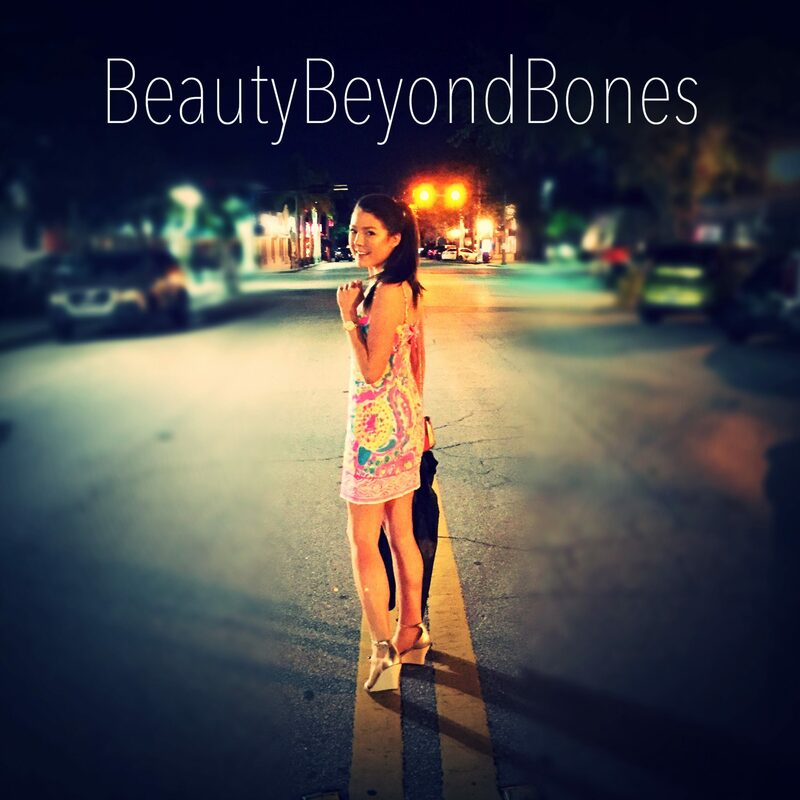 I was so nervous about sharing it because it feels like someone else’s story! Since finding Jesus my new life is so different to my old life! Anyway, I love your point about Jesus publicly making a stand for us! I’ve never thought of it that way before, and I feel convicted about the way that I try to turn the volume down on my faith in public! Lord help me to be more bold! Great article! I like what you said about if Jesus had kept His faith private, then His salvation would not have been a thing, and that the least we can do is stand up for Him. I’ll have to check out that video you mentioned. Btw, I checked out the video. It was very good. It was amazing how God worked in Jim’s life to help him better portray what it was really like.